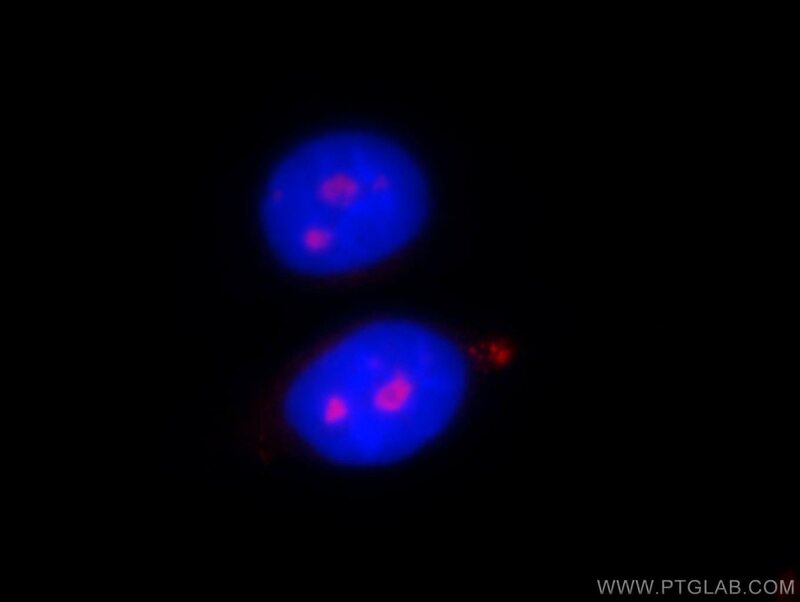 Immunofluorescent analysis of HepG2 cells, using PWP2 antibody 11390-1-AP at 1:25 dilution and Rhodamine-labeled goat anti-rabbit IgG (red). Blue pseudocolor = DAPI (fluorescent DNA dye). IP Result of anti-PWP2 (IP:11390-1-AP, 4ug; Detection:11390-1-AP 1:600) with HeLa cells lysate 2400ug. The function of PWP2 remains largely unknown. 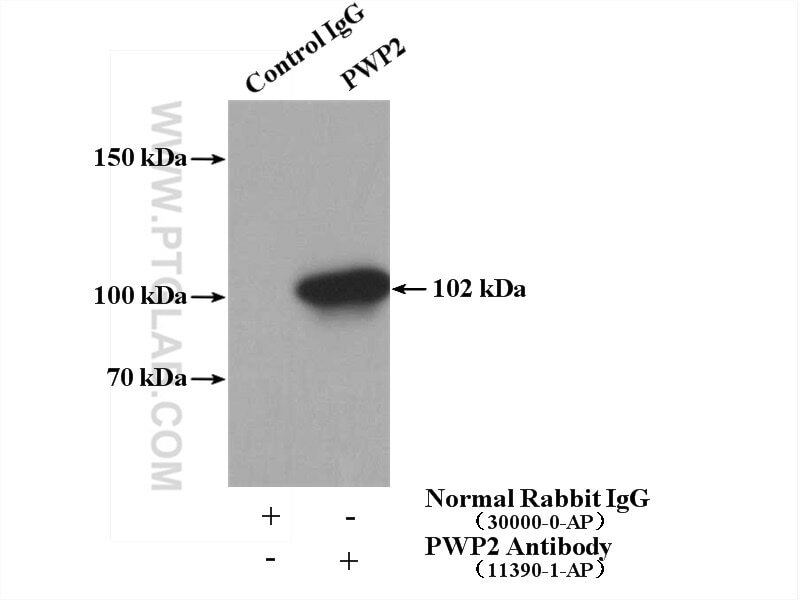 Catalog#11390-1-AP is a rabbit polyclonal antibody raised against the full-length of human PWP2. The MW of this protein is 102 kDa, and this antibody specially recognises the 102 kDa protein.